Even after months of training, you might look for a few last-minute ways to make your PR more achievable come race day. While you can't do anything in the final week before a race to make yourself fitter, there are a handful of things distance runners can do (or avoid) in the final days to maximize race day. Try implementing these six must-do race week tips for PR performances this summer and fall. For years we have read about the importance of rest in the final week before a target race. 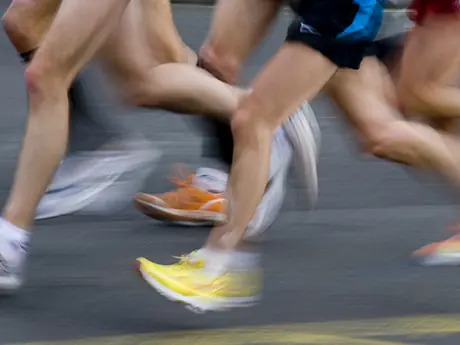 Rest is important; however, in recent years, coaches are experiencing more and more distance runners who feel better when resting a bit less rather than more in the final week, particularly in shorter races such as 5Ks and 10Ks. "Over the last few years I have had far more success resting a bit less in the final one to two weeks rather than more," says 2014 USA National Marathon Champion Tyler Pennel. "From the mile to the marathon it has become apparent that too many runners pull back so much in the final week to 10 days that they ultimately feel stale on the big day. Reduce the long run a bit and don't do anything terribly hard in the last eight days, but be certain to keep some light intensity in play." Reducing intensity and duration simultaneously creates a hormonal shift that often leaves runners with heavy legs. In your final week before your target event, pull back your overall volume no more than 25 to 35 percent from peak, and be certain to keep some intensity in play with a moderate—albeit slightly reduced in volume—workout four to five days before the race. Not running the day before a competition is a mistake many long distance runners make. Be it a 5K or a marathon, make certain to move your legs for a minimum of 15 to 20 minutes to keep your legs engaged and avoid being stale. It's also a good idea for marathoners to run the final two miles of the course the day before as a shakeout run and psychological boost for race day.